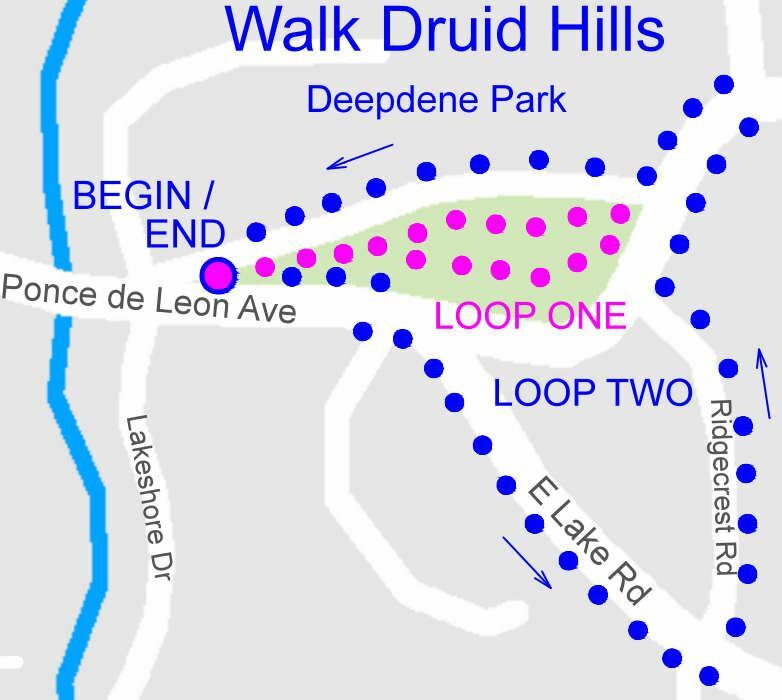 Join us this month as we explore the trails of Deepdene Park and the surrounding neighborhood. We will meet at the west end of the park, near the intersection of North Ponce de Leon Avenue and Barton Woods Road, on Saturday, April 14th at 9:00 AM. The walk totals approximately 3 miles and portions of the walk includes stairs, uneven paths and stepping stones. Park along North Ponce de Leon Avenue. Please note: the Urban Farms walk originally planned has been cancelled. We hope to include this walk in the future.